“The average time that a Venture Capitalist spends analysing a business plan is 22 seconds” – Speaker at the 26th Venture Capital Institute, Atlanta, 2000. The chances are very slim that any unsolicited email with a business plan attachment will lead to a successfully funded deal. VC’s devote a lot of time and attention to building a network of successful entrepreneurs, service providers and potential referral partners. This network acts as a natural filter to uncovering unique and scalable concepts. Entrepreneurs need to make professional contact with the venture capital firm. Finding mutual connections within the VC’s network to facilitate an introduction is “part of the game” and social networking tools are making this a whole lot easier. The business should have a strong, passionate management team with relevant experience to successfully execute the ambitious business plan. A positive recommendation from a trusted contact within the network of the VC will go a long way towards ensuring that the business plan will get the attention it deserves. A high-profile successful serial entrepreneur will also always attract interest for his/her next venture. The value of a powerful and concise executive summary should not be under-estimated. 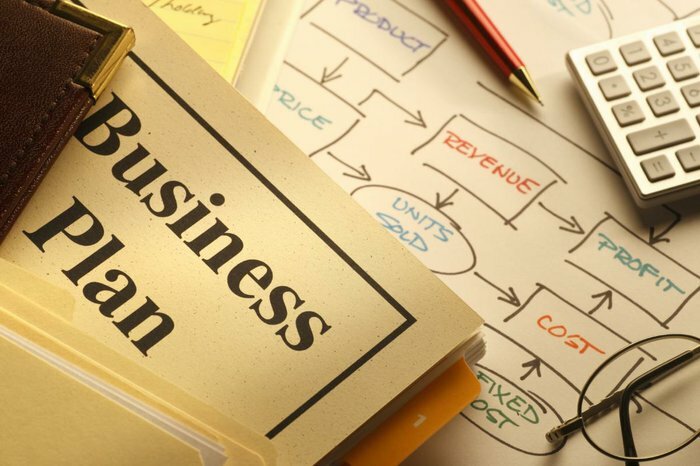 An executive summary previews the main points of the in-depth business plan. This is probably the only part of the business plan that the VC will read before skipping to the team credentials and financial summary. So make it count! The quality of the concept is usually inversely related to the amount of adjectives used to describe it, and unnecessary technical material and jargon should be avoided. Highlight the “WOW! Factor” in the one-line pitch. If you can’t describe your business in a tweet it should probably not be a business. VC Fund managers cannot invest outside of the prescribed investment mandate agreed with their third party funders at the outset of the fund. This usually includes metrics such as investment size, business life-cycle stage, industry preferences and geographies. This is also why a shotgun approach to prospective funders is often unsuccessful. Do your own due diligence on your prospective funder, or at the very least, visit their website as this information is easily available. In my experience analysing early-stage businesses in South Africa, only about one in four funding proposals matches the mandate of the VC Funds under management. If it is out of mandate there is no option but to reject – and your business plan would not have gone past the Junior Analyst or Personal Assistant. To present aggressive yet credible financial forecasts for a VC deal is a fine balancing act. But it is actually really astounding to see how many entrepreneurs get the balance wrong here: Not too conservative to mimic a conventional business but also not so aggressive as to be implausible. Because of the inherent uncertainty contained in the numbers, financial forecasts also need to be built on solid assumptions that can be tied back to the business plan. VC’s look to understand the traction and levers for revenue growth and assess the “J-Curve Effect” in cash burn (the rate at which an early-stage company uses up its cash resources or capital before producing a positive cash flow) on the road to profitability. Ultimately then, the best way to ensure that your business plan does not drag down the average time of consideration is to approach the right kind of VC who already knows (of) you and blow them away with a compelling executive summary backed by conceivable top-line financials.